Dean Yoder and I arrived late last night, after leaving Iowa City after 4;00 pm with two Model K. Hope to have all four running K's in North America at OCF this weekend. Todays agenda includes time at Benson Library at THF. 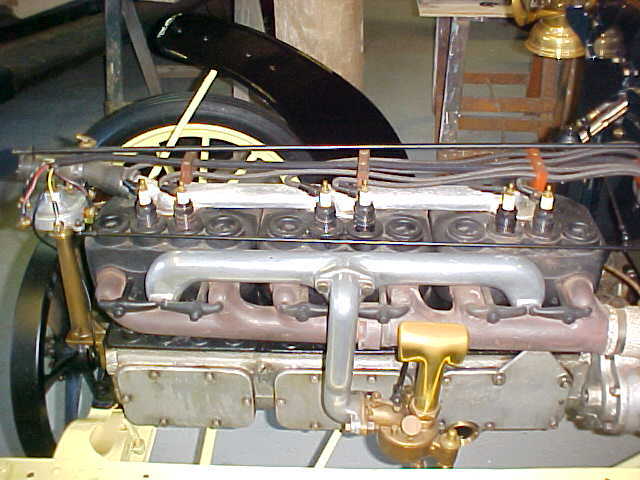 On the agenda, looking for more early Ford tidbits, including this "missing link." 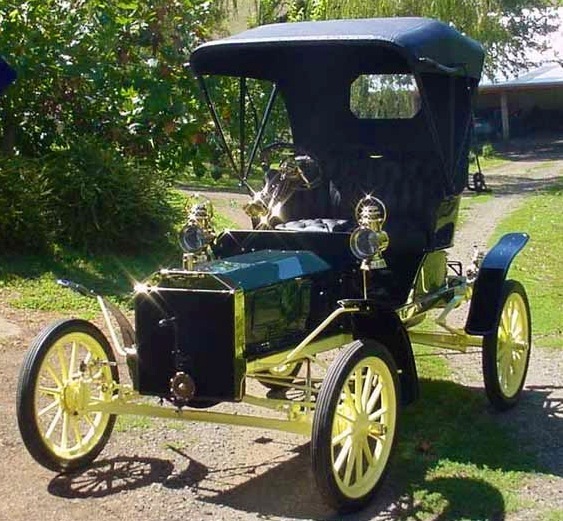 In this early February 1907 article Henry Ford reports FMC is planning a $1250 "medium priced" six cylinder touring car "along the lines of the four-cylinder runabout." 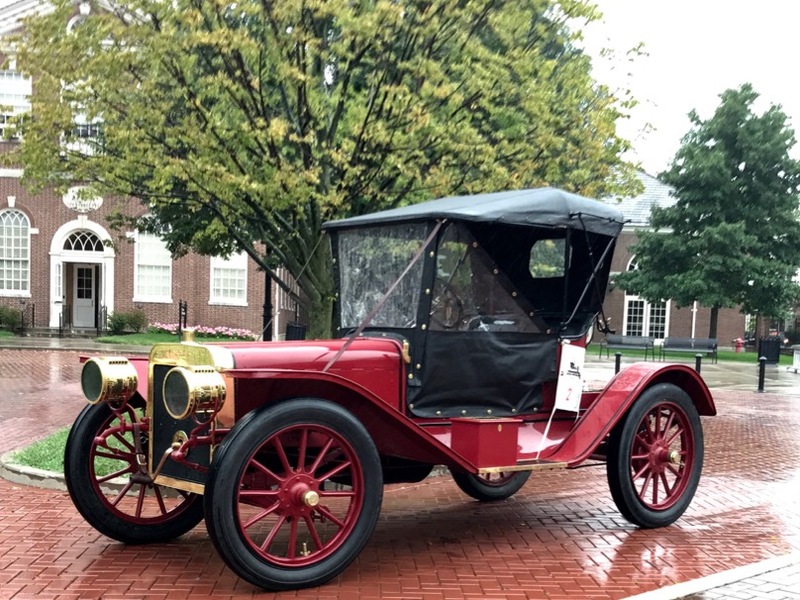 While we have articles from the summer of 1908 about Henry Ford driving about Detroit with his six cylinder NRS style roadster, I had not seen a report about such a creation this early. This gives some credence to suggestions that this was possible Model J. I had personally thought this six couldn't be early enough to receive a pre-K (or N for that matter) letter. However, this article suggests to me that Ford may have been planning a small six as early as they did 1906-08 models K and N.
Anyway, time to get down in the weeds and find new tidbits at Benson Library. Hope to see many forum members this weekend. 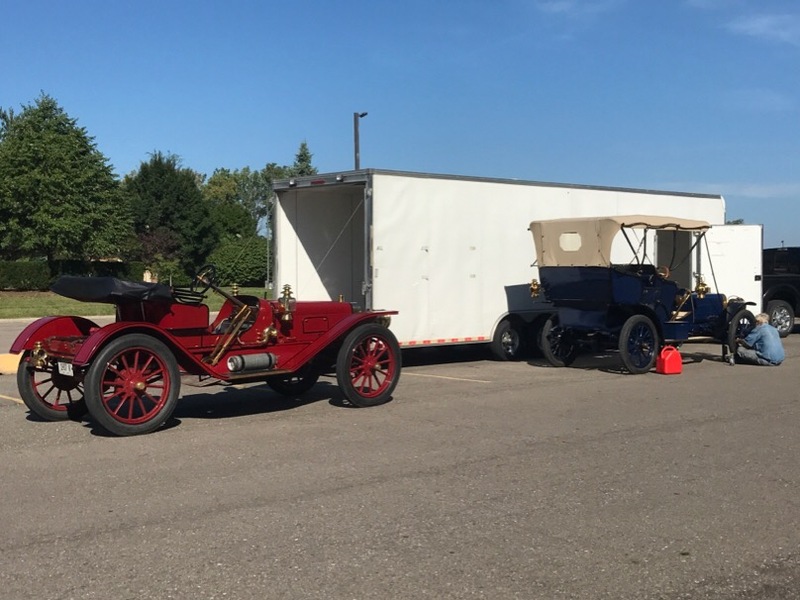 Detroit Model T Club is meeting tonight at Piquette Plant 6:30 pm. If you or anyone else I town for the OCF wishes to attend you are welcome.. I think its interesting the [small six] has a timer elevator on it? Wishing all cool dry weather and no breakdowns! Bud. Glad you�re out having fun. It nice to see the old cars out on the road. Rob, looking forward to seeing you and other form members at OCF. And, oh, yeah, my Model K ride! Rob,It sounds like save a little here and there was also pre T! Bud. Federio Pabst must have gotten over-excited at the prospect of seeing so many cars. Anyone else spot his headline spelling of California! It's not often that stuff appears in the old time press. More like a modern affliction. Leaving tonight for Detroit. See all you guys at the OCF on Saturday, and a wet Sunday? Somebody bring a hand brake clevis, pin and cotter pin for Steve Jelf so that he can hook up his hand brake! Neither rain, nor snow, nor Michigan traffic will keep Rob from his quest at the library. Wish I could be there, but some of us have to work this weekend. Maybe next year.